SHORT SALE! BANK'S LOSS IS YOUR GAIN! GRAB THIS HOUSE QUICK! 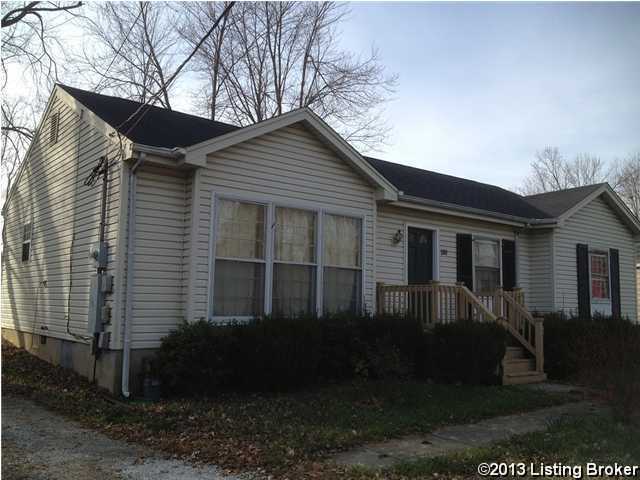 3 bedroom and 2 full bath ranch in desirable Middletown. Family room has picture window. Nice lot. GREAT LOCATION! Investors welcome. Location, Location, Location! Buyers: Have your agent call the listing agent immediately to arrange a showing. Buyer and agent must sign special ''Disclosures and Guidelines'' document that must be obtained from the listing agent's office. Dear Realtor, please read important instructions in the agent notes section. 412 Evergreen Rd, Louisville KY 40223 is a Home, with 3 bedrooms which is recently sold, it has 1,302 sqft, 0 sized lot, and None parking. A comparable Home, has 4 bedrooms and 2.5 baths, it was built in and is located at 11302 Cox Ave Louisville KY 40223 and for sale by its owner at $ 299,500. This home is located in the city of Louisville , in zip code 40223, this Jefferson County Home, it is in the NONE Subdivision, and Shelby Crossing are nearby neighborhoods.